What do we have here? This is a geomorphs asset pack about natural caves. This map builder-set produces generic natural stone caves. The pieces are varied enough to create plenty of different environments. All assets in this set are 8×8 squares and can be used in any combination. 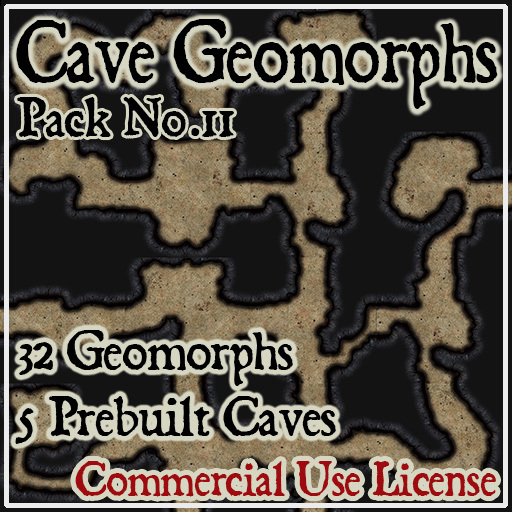 This pack contains over 32 different geomorphs to build an awesome natural cave. I’ve also included the 32 geomorphs in gridded versions. There are 5 pre-built caves ready to drop for instant bang-for-your-buck.